Carol explores her creative ideas through works on paper and ceramic constructions. Available in her studio, her wall sculpture includes multi-section stoneware pieces based on ocean themes and handbuilt porcelain structures mounted on wood panels. Hand-built coil forms and pinch-pots in porcelain and colored clays are among her smaller works. Ceramic vessels and sculpture are high-fired to cone 10 in a gas kiln for durability and richness of color. Her work in on view at Studio 120 and Gallery at the Tannery Arts Center in Santa Cruz, California. Her space is open to the public by appointment, for First Fridays (6-9p) and during special events. Photographs by Carol Eddy from a trip to Morocco in October, 2015. 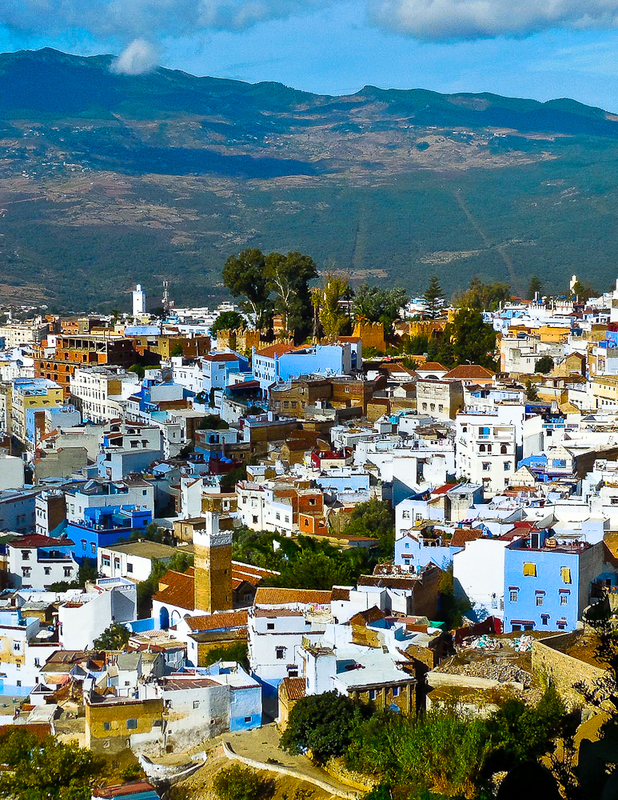 Images from the beautiful town of Chechaouen in the Rif Mountains. Multiples available, unlimited edition.